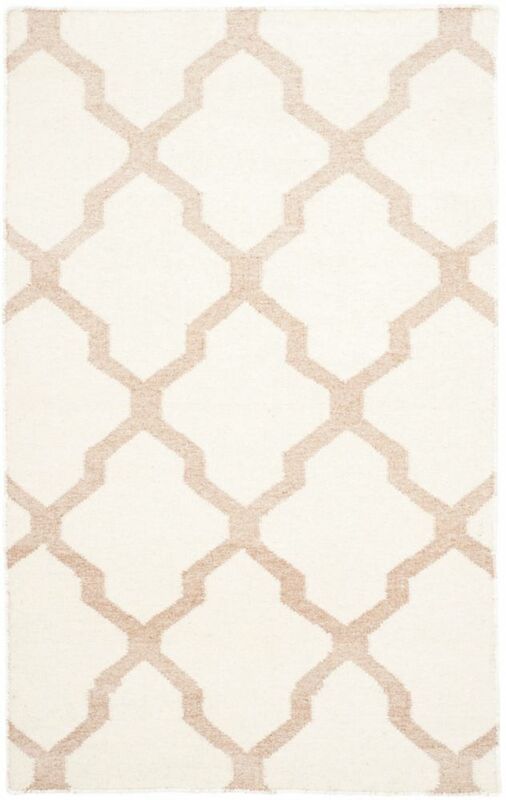 The contemporary look of this Safavieh Adirondack area rug adds style to any room. Decor done right with this indoor piece, and its plush polypropylene material. Bring this machine-made rug into your home for a durable interior design option. This contemporary brown rug has a lovely tribal pattern for an impressive look. Dhurries Jayce Ivory / Camel 3 ft. x 5 ft. Indoor Area Rug The classic geometric motifs of Safavieh's flat weave Dhurrie Collection are equally at home in casual, contemporary, and traditional settings. We use pure wool to best recreate the original texture and soft colorations of antique dhurries prized by collectors. The Dhurrie weave is native to India, and every step in our production process faithfully follows the traditions of local artisans. The results are natural, organic and with wonderful nuances in pattern and tone.